Two Franklin College alumnae were honored at a breakfast held at the Indiana Roof Ballroom in Indianapolis on Friday, Nov. 9, 2018, after being selected to the prestigious Indianapolis Business Journal’s Women of Influence class of 2018. The program recognizes women who have risen to the highest levels of business, the arts, and community and public service in central Indiana. This year’s class of 22 women includes small- and large-company CEOs, public officials, educators and executives from various industries. Deana R. (Baker) Haworth, class of 1999, currently serves as the chief operating officer at Hirons, an Indianapolis marketing and public relations firm. Her career has spanned 18 years at Hirons. 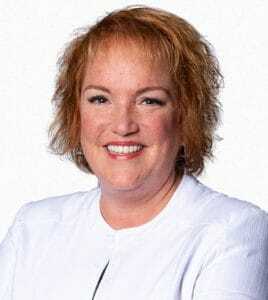 Haworth earned her master’s degree in public relations from Ball State University and later earned an Accreditation in Public Relations from the Public Relations Society of America (PRSA). She serves on the boards of the Greater Indianapolis Progress Committee and the PRSA Hoosier Chapter. She also serves on the Indy Chamber’s Local Government Fiscal Policy Committee and as precinct vice committeewoman for the Johnson County Republican Party. Read more about Haworth and her career at http://bit.ly/DeanaRHaworth. Andi M. Metzel, class of 1991, currently serves as a partner at Taft Stettinius & Hollister LLP in Indianapolis and president of the Indiana State Bar Association and its board of governors, leading the largest legal organization in the state. She earned her law degree from the Indiana University Robert H. McKinney School of Law. She previously worked for the Marion County Prosecutor’s Office as a felony prosecuting attorney, then redirected her energies back to civil practice with Dann Pecar Newman & Kleiman P.C. In April of this year, a strategic decision was made to continue to grow the firm’s platform in Indianapolis by moving their collective practices to join Taft Stettinius & Hollister LLP. Read more about Metzel and her career at http://bit.ly/AndiMMetzel. Subscribers to the Indianapolis Business Journal can read more about these and the other women included in the IBJ Women of Influence class of 2018 at IBJ.com.